How will the Singaporean firm use the funds to better reach out to key markets? Will it be investing in technology? Singapore-based dating app Paktor (translates to dating in Hokkien) today announced raising US$500,000 in a Pre-Series A round with a lofty valuation of US$6.5 million. Participants include a previous seed investor who would rather remain anonymous, and a group of angel investors based in Hong Kong led by William Ho. In an official release, the Tinder-styled app claimed to have matched over three million people in the last two months, with a presence in more than 45 cities in Asia. First launched in Singapore last July, the app has entered many foreign markets, including Thailand, Indonesia and Korea. The funds will be used to build the Paktor team, boost growth, dominate Southeast Asia and Taiwan while at the same time expand further in Northeast Asia. There are also plans to make major investments in technology, which includes personalisation and building an enhanced app experience. 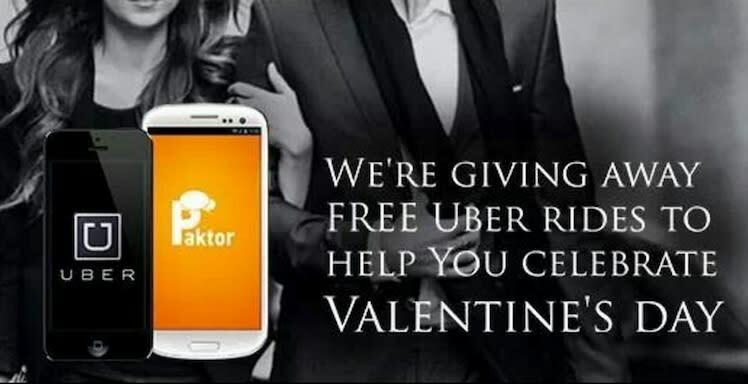 Currently, Paktor generates revenue through business-to-business partnerships, which could explain its ability to pay for advertisement space in Bangkok, Thailand. Phua noted that they have been advertising the app on the skytrain (BTS) and in prominent shopping area Siam Square. In the future, it will also be launching premium features for consumers. Unlike other dating apps hot in the market, there is no tedious filling up of profiles on Paktor. Instead, users hook up their public Facebook accounts to the app, log in and indicate whether they are interested in the match provided with a simple swipe. Matches are only allowed to chat with one another when both parties have indicated mutual interest. “Our mobile iOS and Android apps have helped many of our members match with other compatible singles, with many matches occurring within 60 seconds of signing up. We will also be adding several new features to Paktor within the next three months, to increase the value that Paktor brings to our members,” said Phua. Unsurprisingly, the founder had met his girlfriend through Paktor’s cross-country matching feature, which comes along with auto-translation services. In Asia, Paktor faces strong competition from dating app services like Skout, Noonswoon, and Setipe. Last year, Thailand’s Noonswoon had announced raising US$400,000 with a valuation set at US$3 million. The post Dating app Paktor raises US$500K with valuation set at US$6.5M appeared first on e27.